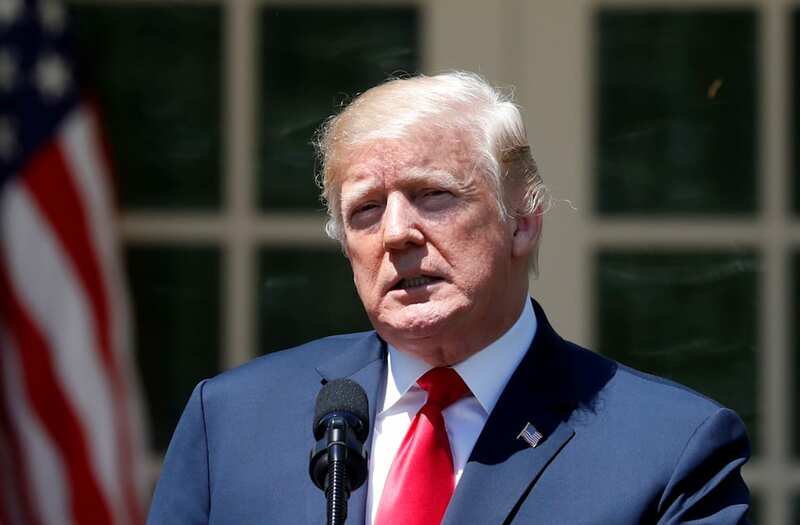 WASHINGTON, May 3 (Reuters) - President Donald Trump has ordered the Pentagon to prepare options for reducing the number of U.S. troops in South Korea, the New York Times reported on Thursday, citing several people briefed on the deliberations. Reduced U.S. troop levels are not intended to be a bargaining chip in Trump's planned summit in late May or early June with North Korean leader Kim Jong Un about Pyongyang's nuclear weapons program, the Times said. The officials said, however, that a peace treaty between the two Koreas could diminish the need for the 23,500 U.S. soldiers currently stationed on the peninsula, the newspaper said. A full withdrawal of U.S. troops was unlikely, the officials said, according to the paper. But a U.S. National Security Council official told a visiting South Korean official in Washington via telephone the report was false, the South Korean presidential office said in a statement. South Korean amphibious assault vehicles throw smoke bombs as they make it to the shore during Foal Eagle, March 30, 2015. US Marines and South Korean soldiers await further orders inside their armored vehicle, during a joint combat training exercise. US Marines also train in South Korean vehicles. Here, US Marines run out from a South Korean LVT-7 during a joint landing exercise for Foal Eagle, in Pohang, South Korea, March 31, 2014. US Marines move out with their South Korean counterparts. US and South Korean Marines aim their rifles near their amphibious assault vehicles during Foal Eagle. US Marines from 3rd Marine Expeditionary force deployed from Okinawa, Japan, train with South Korean soldiers in Pohang, South Korea. Originally based on the M1 Abrams, the South Korean K1 tank is manufactured by Hyundai Rotem. The South Korean K1 tanks have a range of 310 miles and has a top speed of 40 mph. Air assets, such as the US Navy's F/A-18 Super Hornet, have also been utilized amid the drills. The White House and Pentagon did not immediately respond to requests for comment. Trump has said the United States should consider reducing the number of troops in South Korea unless South Korea shoulders more of the cost. Then-CIA Director Mike Pompeo, before taking office as U.S. secretary of state, met Kim last month and reported the North Korean leader was not demanding the withdrawal of all U.S. forces as a precondition for a summit with Trump.